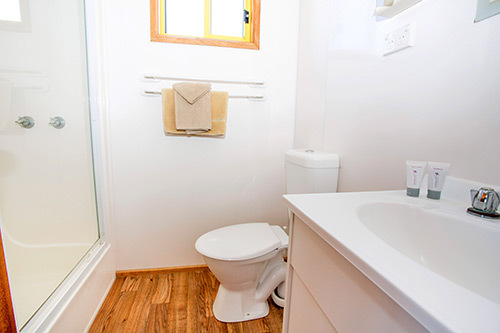 Our Two Bedroom Cabin Accommodation will make you wish you could stay longer. 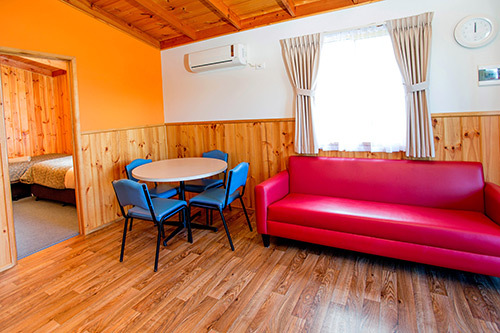 These two bedroom cabins are spacious and well outfitted and many are situated near the playground and jumping pillow. 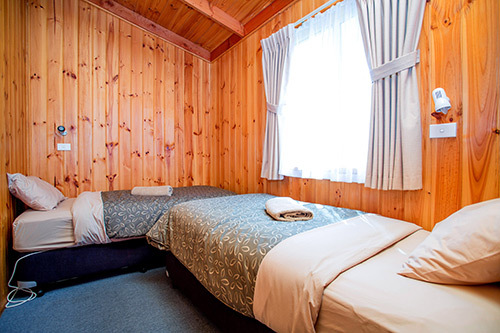 Linen is provided to all beds and there is a TV in the main queen bedroom. 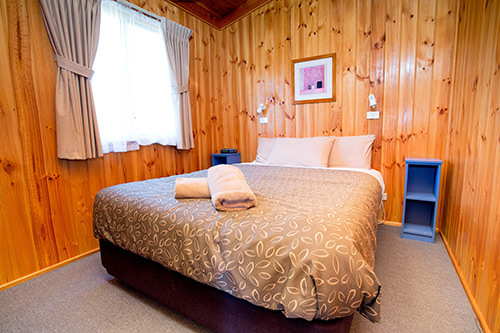 The second bedroom has either two sets of bunks (2x2), two single beds or a single bed with a set of bunks. 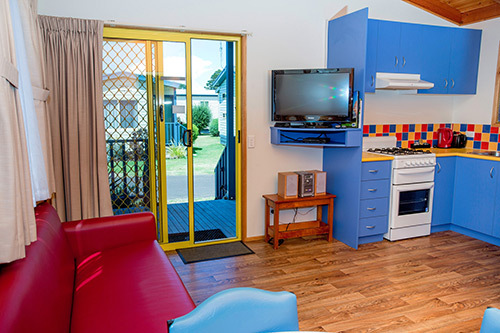 The living room has two lounges, an LCD TV, DVD and the kitchen facilities include a stove, refrigerator and microwave. 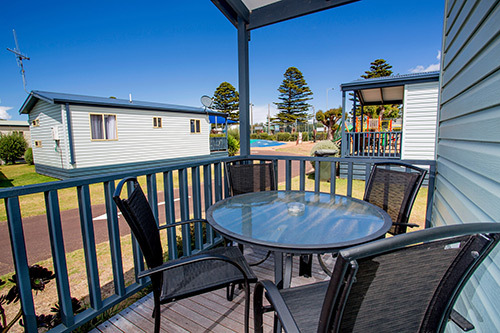 Other inclusions and features – reverse cycle air-conditioning, large balcony with outdoor setting, an espresso coffee machine, iron, ironing board and clothes airer. 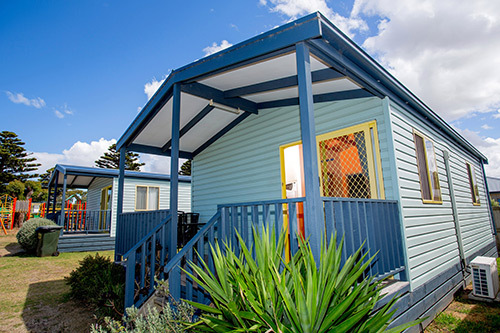 This is the perfect option for a family wanting a home away from home experience.